It is dangerous to the figure to head south. When mom and I hit the road for the Muscle Shoals area to cover the music there, I knew I needed to take my walking shoes with me, but it should have been running shoes, in fact, I should have jogged all the way back to Illinois after eating at all the wonderful restaurants that Georgia Carter Turner of the Florence/Lauderdale Tourism office hooked us up with. While in the Shoals area we stayed at the beautiful Marriott Shoals Hotel and Spa and our first night ate at their restaurant Swampers. The restaurant is named after the Muscle Shoals Rhythm Section (Roger Hawkins, Jimmy Johnson, Barry Beckett, and David Hood) the famous group that was the studio band for the recording studios FAME and 3614 Jackson Studios just to name a few. Besides good food, the bar and grill is a tribute to the Shoals music heritage, and offered up breakfast in the mornings and the sounds of local musicians at night. The Marriott also is home to 360 Grille where Georgia and I dined after our first day of touring. Seated next the window, I stared out at the panoramic view. The restaurant is located on the top of the Renaissance tower that is 20 stories high, 300 feet tall, and offers a view of over 30 miles. Below I saw the winding Tennessee River and the Shoals area all from different angles since the platform rotates slowly, turning 360 degrees in roughly one hour. The food is upscale and was lovely. We split appetizers along with my first taste of Fried Green Tomato salad which was awesome! And of course had to have dessert. Lunch the first day was at the fun City Hardware where we went after checking out the lion habitat outside the University. 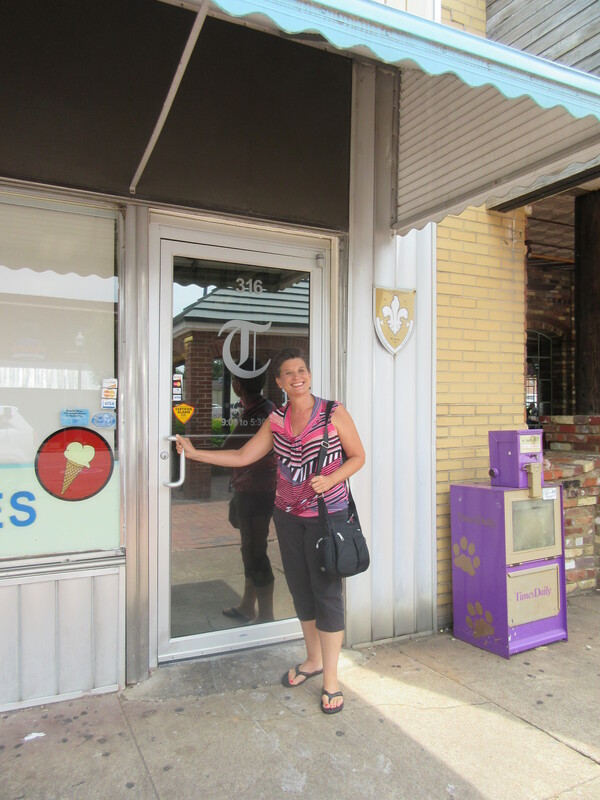 The restaurant is located in the heart of downtown Florence and had a great décor. 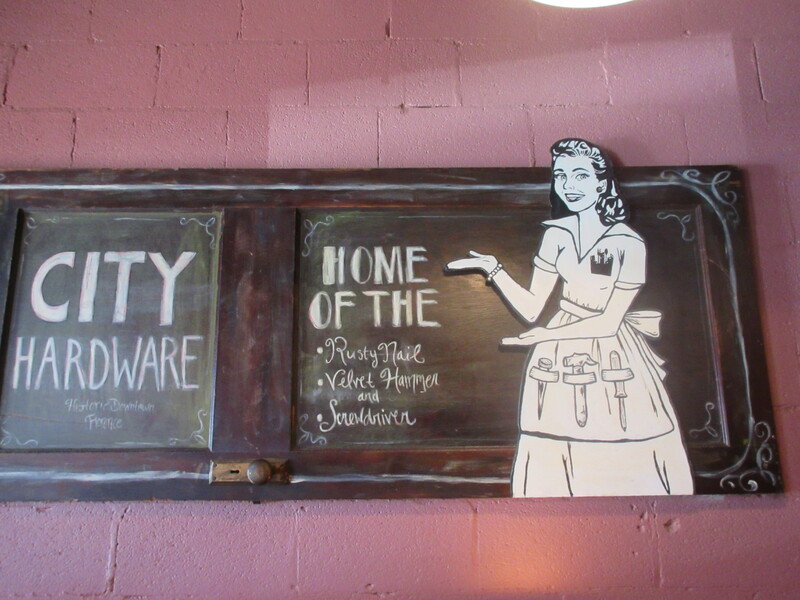 I loved the sign inside with the woman with a tool belt. I tried one of the famous burgers and could not quite finish it, thus the appetizers at 360 Grille that evening! Touring music studios and pretending to sing with the best that Muscle Shoals had to offer brings on an appetite. 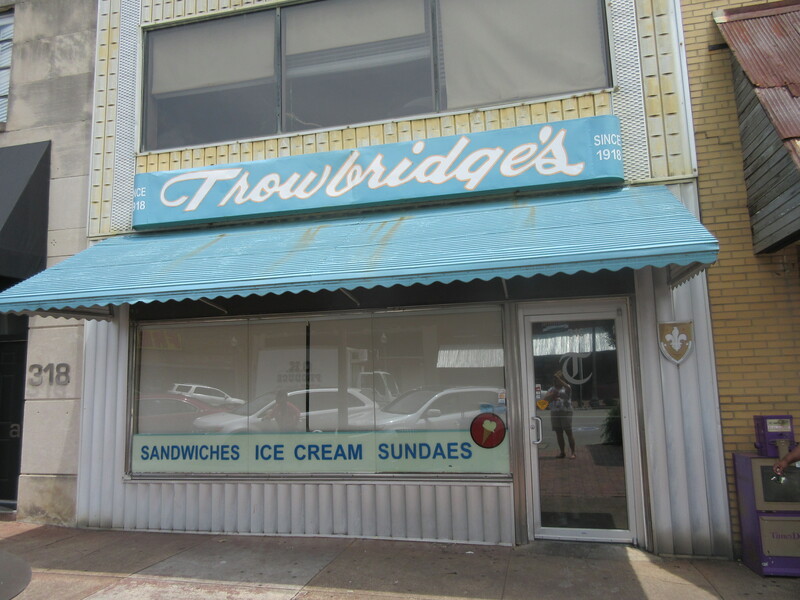 Since the only singing I had better do when in the presence of others is lip sync, I kept my mouth closed until we headed for lunch the next day at the iconic Trowbidges. This was a great stop with a ton of atmosphere. 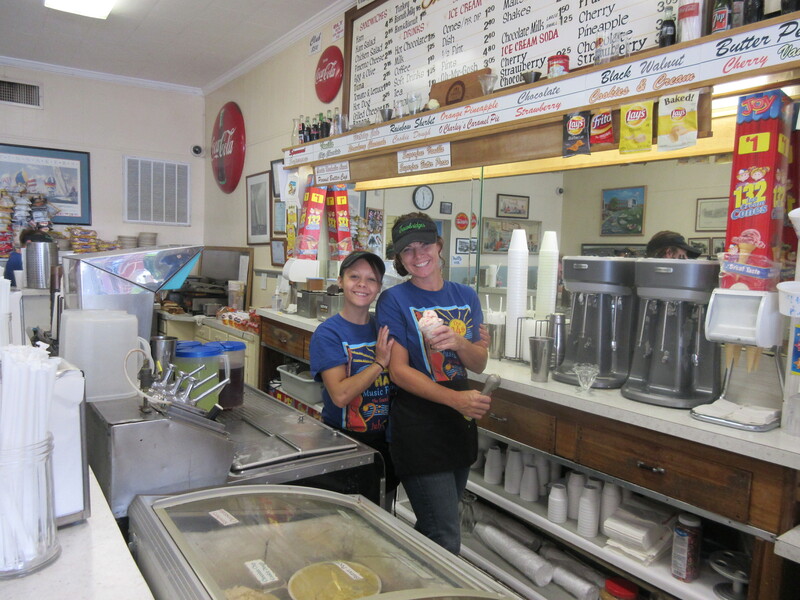 The café/ice cream shop has been open since 1918 and is still a family run diner. Our last evening in town we had reservations at the very uptown Odettes. While this is a newer restaurant it is in an older building giving it like the other places we stopped a sense of time and charm. 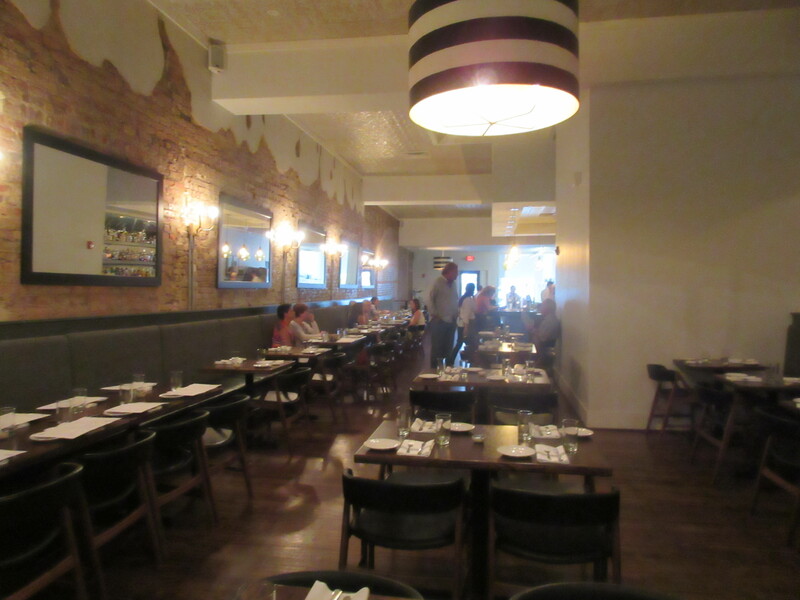 The features locally and sustainably sourced ingredients and the owner brought back some of the owner Celeste Pillow brought back some of her Manhattan restaurants experience to her hometown. 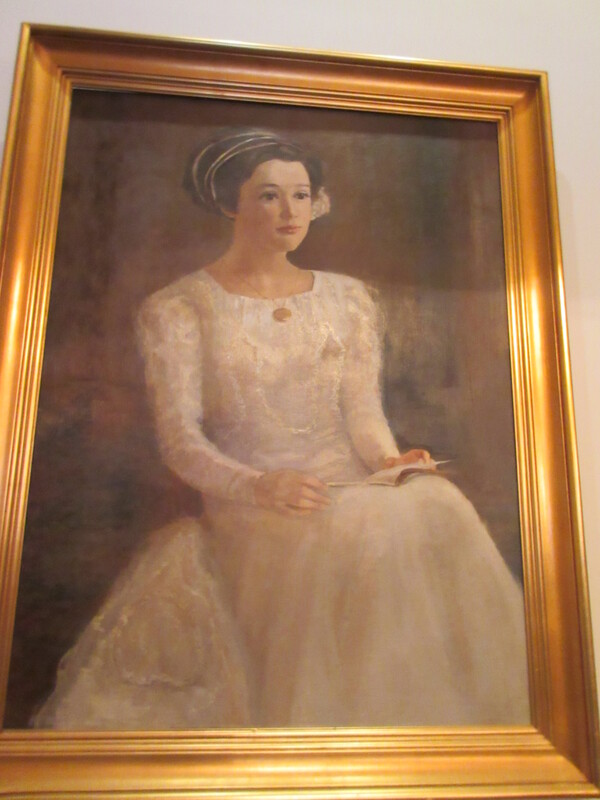 She named the restaurant Odette, for her paternal great grandmother. For dinner we shared some fried okra and I didn’t share one bite of my steak frites. We did divvy up the dessert Chocolate Pavola which there are no words for. This was chocolate custard with whipped cream and a cherry gastrique. All I can say is yum. The next morning we somehow still fit behind the wheel and headed back to the Midwest with visions of Southern cuisine dancing in our head. Previous Post: Green –Meldrim House where Sherman's Atlanta Campaign came to an end. 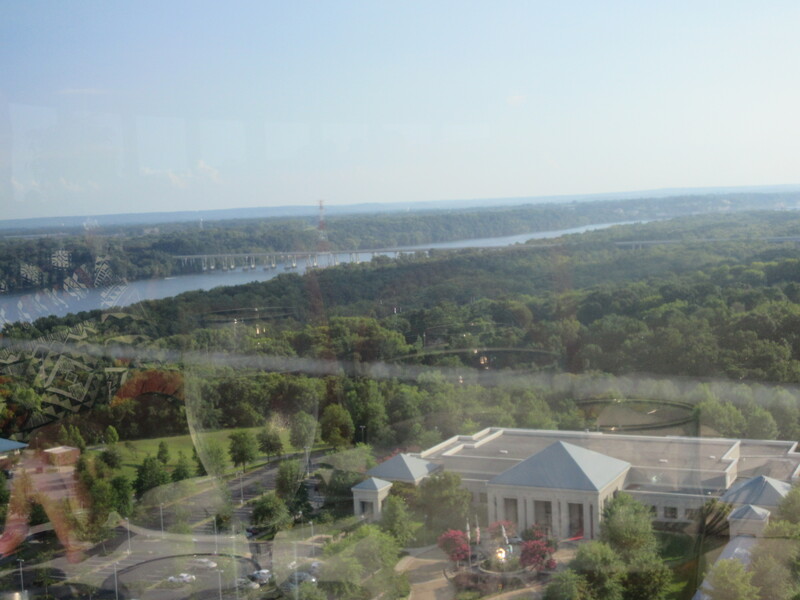 We got married at the Marriott Shoals and had our reception dinner at the 360 Grille. It was perfection. LOVE all those places, but you missed OUT if you didn’t go to Ricatoni’s !! It is the BEST! ..and I don’t even like Italian food. The Shrimp Spiedino is my favorite dish in the world and that’s saying something coming from a Memphis gal, who grew up in the Tupelo, MS area (translation: very good dining choices). Dear Jodi: I think you are right, there are so many wonderful places in the Shoals that I am sure I missed several of them! I guess I will just have to go back and try some more and keep Ricatoni’s on the top of the list!